At one time, that simple off-season approach for adding mass – eat as much as you can while pushing around the heaviest loads possible – was commonly followed by lifters in pursuit of greater gains. However, its simplicity belies the fact that those gains were, at best confusing. Sure, you’re bigger, but in solving one problem you created another: a disproportionate amount of added body fat. That’s why bulking phases today have been redefined to address this. With a clean bulk, your goal is to add selective size, namely, as much muscle as possible, while minimising gains in body fat. Of course, it’s more complicated than those five simple words, which today we refer to as a dirty bulk. You’ll also save a lot of effort not having to spend months leaning down. You look a lot bigger when you’re in fact leaner. 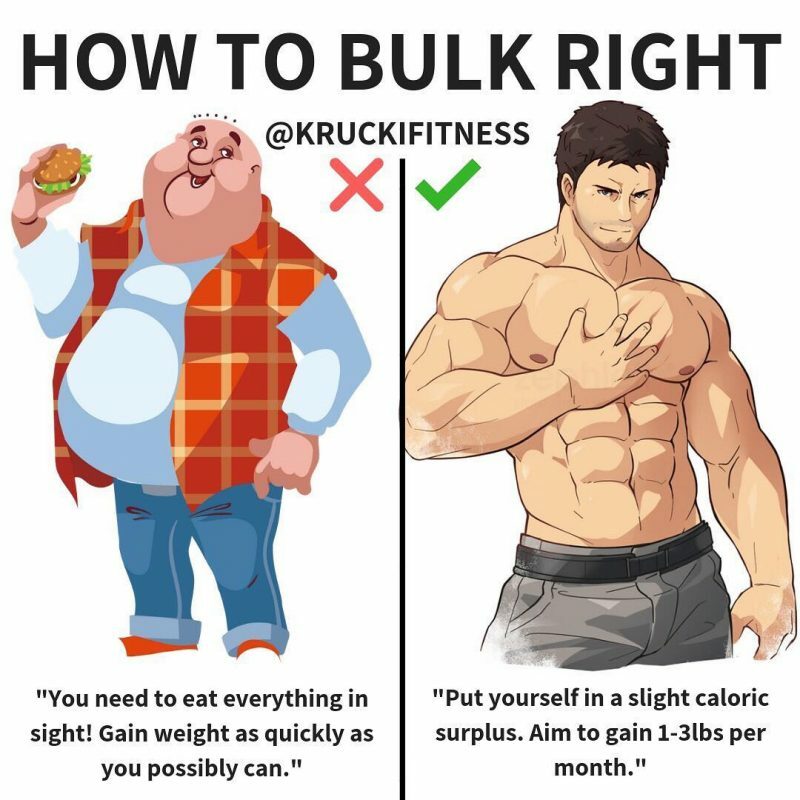 Here are the 10 rules you’ll want to know as you begin your bulk. How much muscle can you realistically expect to add in two months without tipping the scales toward greater body fat gains? 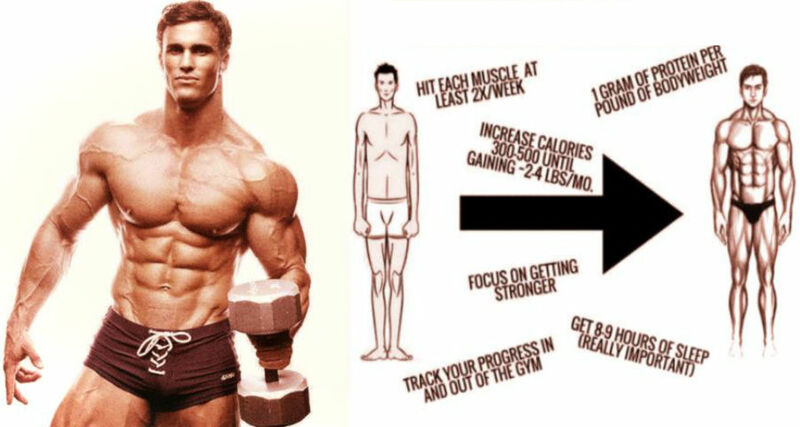 For most trainers under most circumstances, you should strive for gains of about 0.5% to 1.0% of body weight per week. For a 200-pound individual, that amounts to 1 to 2 pounds per week, or 8 to 16 pounds in that eight-week time frame. We all know people who gain faster, but consider them outliers. While 1 to 2 pounds per week may sound measly, like the compounding interest that accrues on your 401k, it’s the long run that counts. Consistency and a long-term commitment are a must. Gaining weight means consuming more calories than you burn. If your bodyweight is currently stable, that means adding an extra 300 to 700 calories per day above your baseline – depending on your starting bodyweight, because the bigger you are, the more you’ll need. 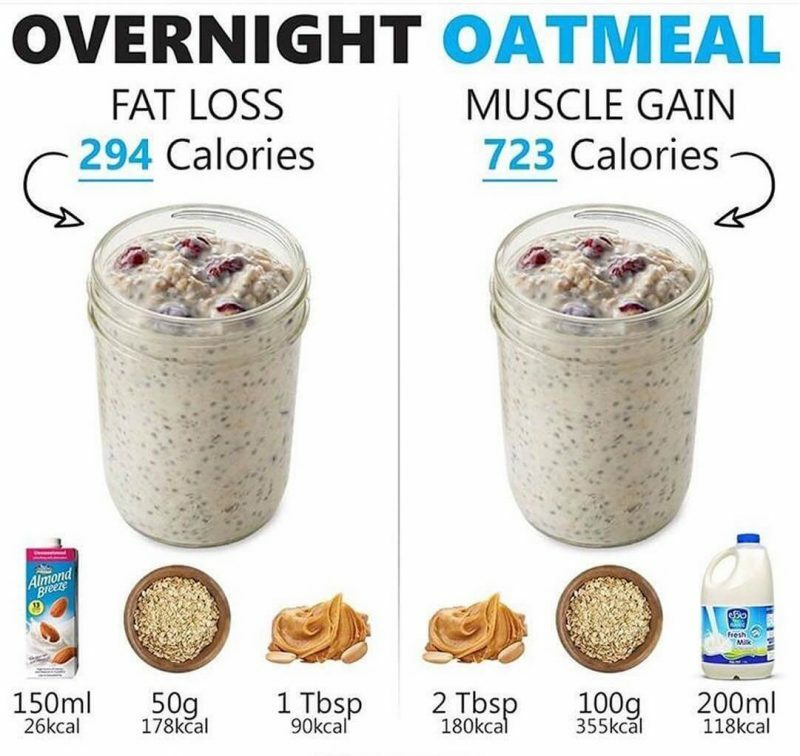 Some individuals meticulously count calories and make a precise daily determination of their macros, and this is probably the best approach. However, it’s tedious and time consuming. 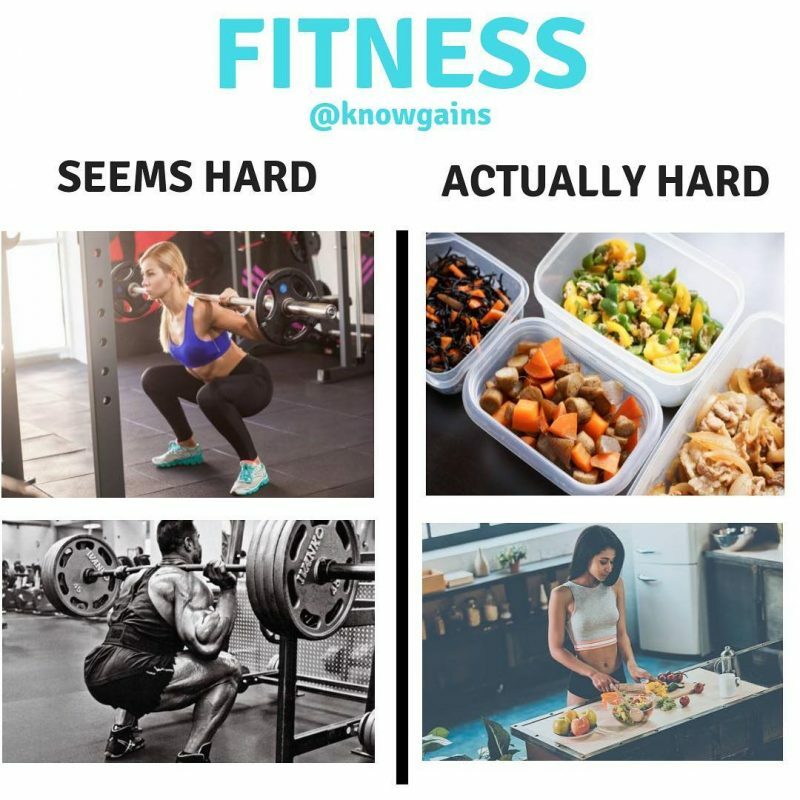 If that’s too much effort, marginally increase your calories by 10% to 15% and use the bathroom scale to stay on the targets you made in Rule 1. A clean bulk puts more emphasis on natural, unprocessed and whole foods. Because this approach includes more fruits and vegetables, you consume more fibre, and leaner cuts of meat, so they’re lower in saturated fat. By restricting sugar intake and limiting calorie-loaded sauces and dressings, you avoid spikes in insulin, a hormone that promotes fat storage. Don’t reduce all dietary fats. Such fats should be about 30% of your total daily calories. About half your dietary fat intake should be from saturated sources. Think fats from animals or tropical fats – about 15% of total daily calories. Saturated fats help maintain optimal levels of testosterone in your body. 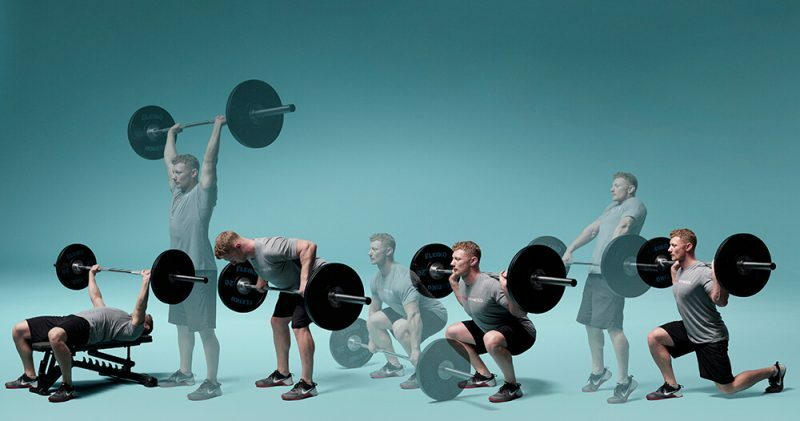 Mass-building routines should be built around multi-joint movements. Such exercises require movement in more than a single set of joints (the elbows and shoulders when bench-pressing, for example). When two or more sets of joints are working in unison, more muscles are engaged, so you’re able to lift significantly more weight. With single-joint movements like leg extensions or cable flyes, you can’t go nearly as heavy. Pushing heavier loads ultimately has a huge impact on hormone response – more than any other single factor. Higher levels of both growth hormone and testosterone have been measured following large multi-joint exercises compared to movements that recruit a smaller amount of muscle mass. Arrange your workouts around exercises like bench presses, squats, deadlifts, overhead presses and rows. 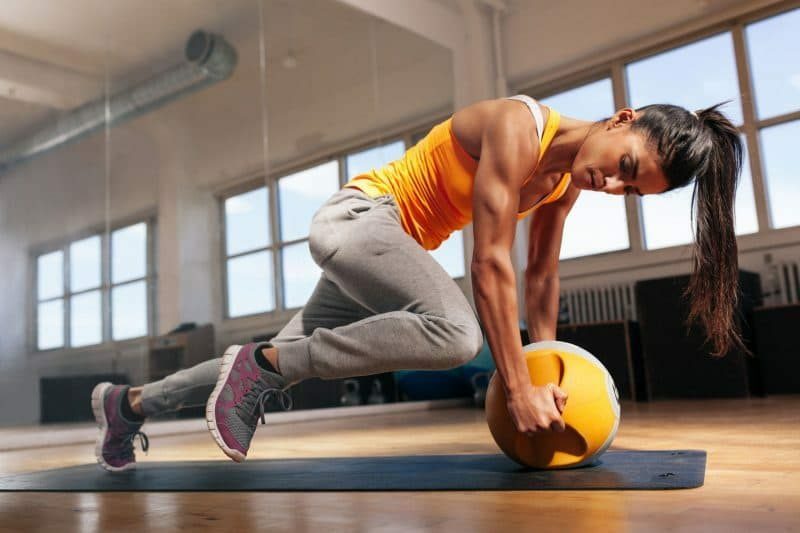 Do them at the beginning of your workout when your energy levels are highest, so you can tackle them when you’re strongest for a better strength-building stimulus. The word intensity is often confused in bodybuilding because most people refer to it as a measure of how hard they’re working out. In actuality, it refers instead to the weight you’re lifting as compared to your single-rep max (1RM) for that movement. So if you’re doing 225 on the bench press and your max is 315, your intensity is about 71%. With 70% of your 1RM, most people should be able to do about 12 reps. Further, for gaining maximum muscle, you need to choose a weight in which you can do 6 to 12 reps. Two caveats: You must use good form, and you should approach muscle failure within that target range. If a weight’s too easy or too heavy, adjust it accordingly on your next set. So the guy who can max 315 should be doing working sets, for the most part between 225 and 270 pounds, to maximise muscle size. A discussion of intensity is important because it helps you determine the working weights you should be using. Related article: Top 10 The Best Muscle-Building Back Exercises! How much work – that is, sets multiplied by reps in a workout – is optimal. In fact, multiple-set protocols have consistently shown to be superior over single sets when it comes to building muscle because they’re superior for elevating growth hormone and testosterone. Adding sets is easily done by adding more exercises for your body-part routine. It’s best done by changing the angle at which you work the muscle. So, for example, if you started with bench presses on the flat bench, choose incline and decline presses to target the pectorals for more thorough development and symmetry. One final note: Limit rest periods between sets to about 60 to 90 seconds between sets – a bit more of your very heaviest sets – to maximise the hypertrophy response. Resting too long is counterproductive to muscle gains because it reduces overall accumulated metabolic stress, an important marker of hypertrophy. Gaining strength and seeing marginal improvements is incredibly motivating. They result when your body adapts to a training stimulus. You challenge your body with an overload to which it’s unaccustomed, and it responds by growing bigger and stronger. For newbies, many of these changes result from neurological adaptations – your muscles are simply learning to fire together more efficiently. After a short time, actual changes in the muscle fibres begin to occur. But your body adapts fairly quickly to the stimulus, so you need to continue increasing the degree of overload to keep seeing improvements. 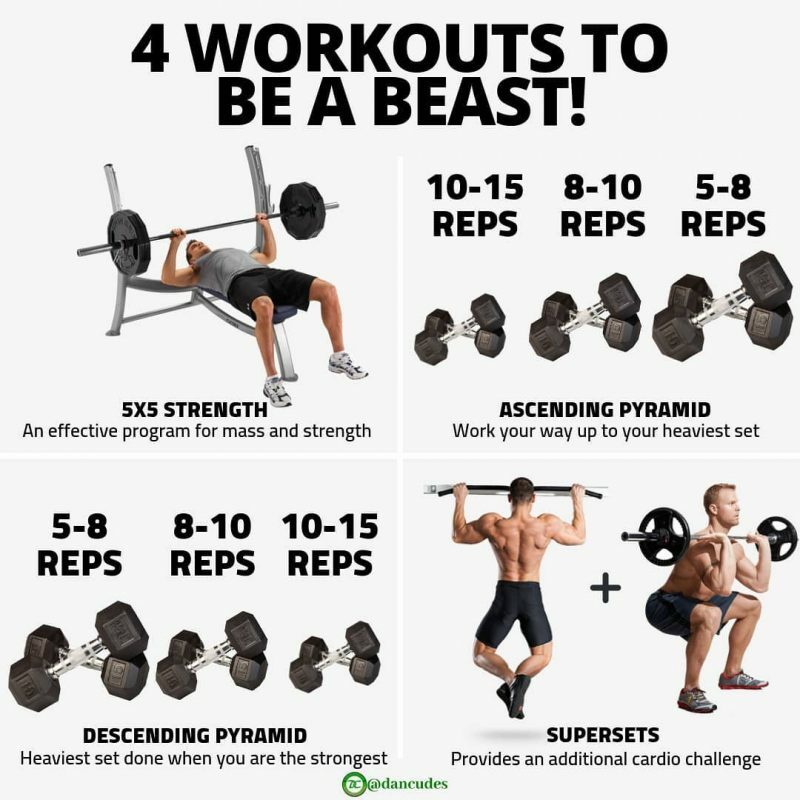 Most likely that means increasing the weight as you get stronger, but you can also do more reps or reduce rest periods. 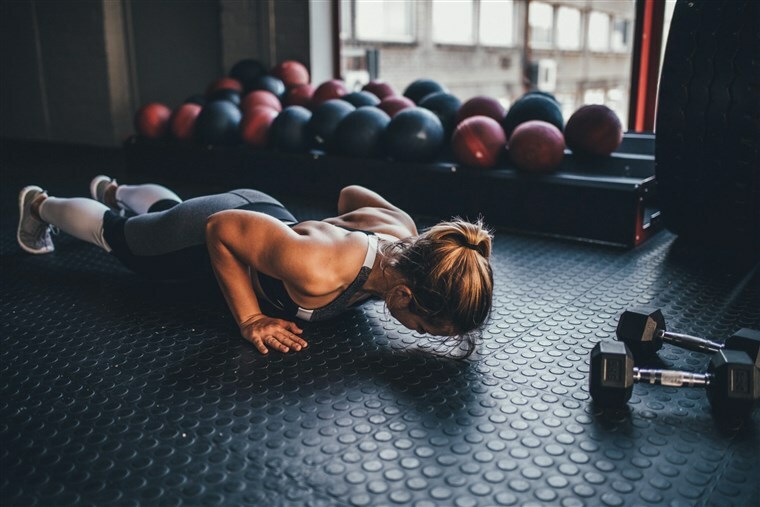 Progressive overload is a vital training concept that means you must continually challenge yourself to new levels of performance as your body adapts to previous marks you set before it. Never get comfortable with your workouts because that’s when progress stalls. For one, recruit a training partner. They’ll not only ensure you won’t miss workouts and provide a spot, a good one will push you to do a few extra reps and otherwise elevate your training performance that you likely couldn’t achieve on your own. Second, get a boost from mass-building supplements. If you’re optimising training and nutrition conditions for a successful bulk, don’t leave any gains on the table. 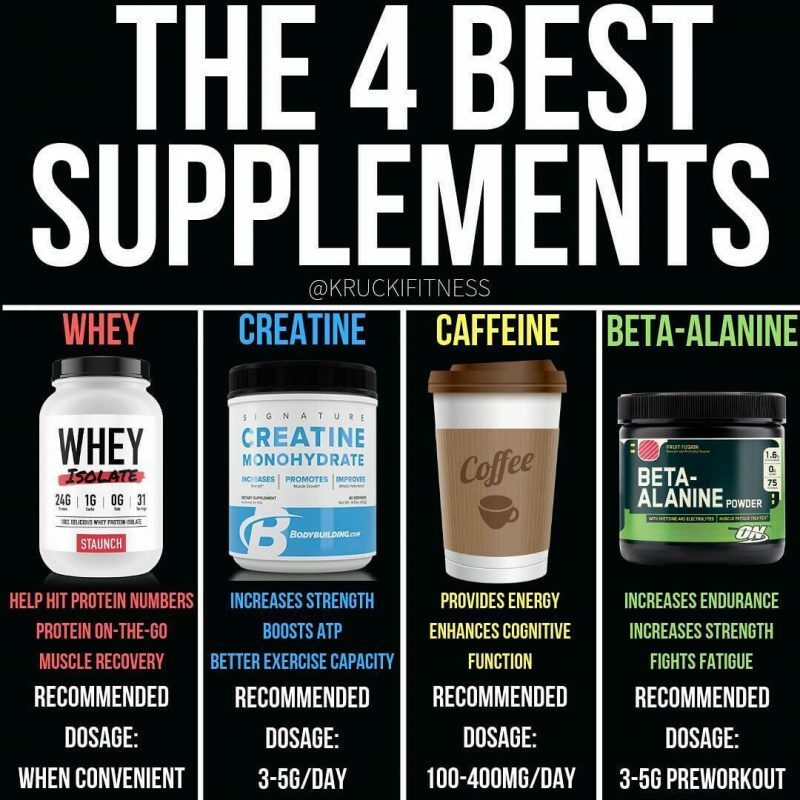 There are a number of scientifically proven supplements that can contribute to your efforts to build size. 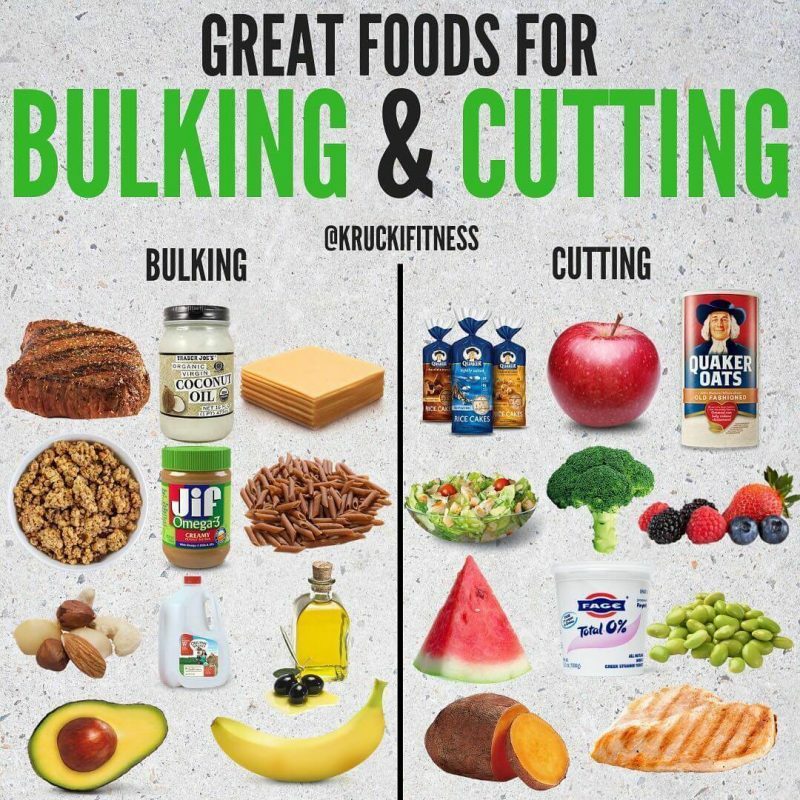 Consuming a higher number of calories than you burn, which is essential to building muscle, is surely difficult to attain on just three meals a day. But that’s not the biggest reason bodybuilders eat more frequently throughout the day, about every 3 to 4 hours. By consuming 20 to 30 grams of protein every 3 to 4 hours, you elevate protein synthesis and reduce protein breakdown compared to consuming the same amount of protein in just 3 meals a day. Preparing that much whole food daily can also be a challenge, so don’t overlook the convenience of protein shakes that can easily travel with you in a cooler. The heavy weights you lift during your training session are the stimulus for growth, but the actual repair of damaged muscle fibres takes place in the hours and days following your workout. That’s why you must be mindful of nutrition and rest. Optimising recovery isn’t limited to your post-workout meal because what you eat all day long matters, too. However, because muscle glycogen (which is stored muscle sugar) is depleted and the muscle fibres are damaged, you’ll want to speedily send in the raw materials for tissue repair and growth. Obviously that means protein – about 30 to 40 grams – with fast-acting carbs to spike insulin and drive the nutrients into muscle cells. If you have a sweet tooth, post-workout is the best time to indulge it because the carbs are faster acting.